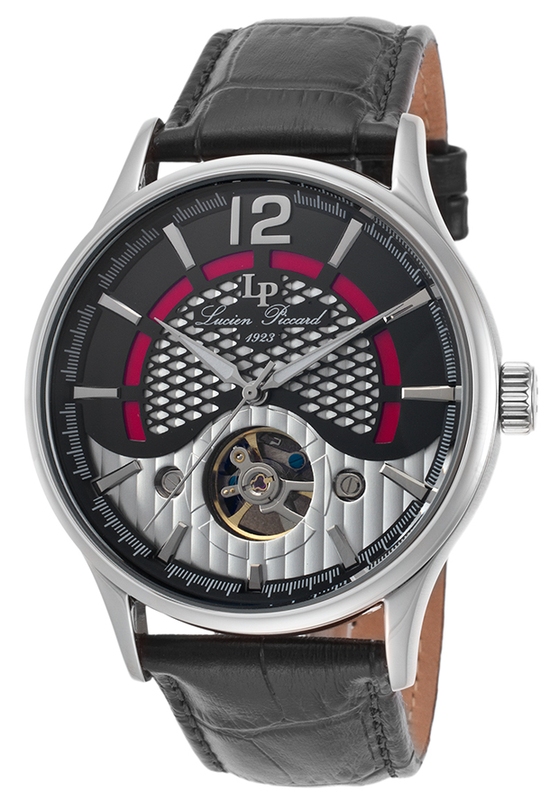 A highly impassioned direction in time from the new Lucien Piccard Transway collection. This classically elegant men's watch pays homage to the brand's prestigious timepieces of yesteryear with an open heart window on the multi-textured dial and an exhibition case back that lets you see the intricate automatic movement inside. The generously proportioned, ergonomically designed case with gently sloped lugs comfortably fits the contours of the wrist. The handsome alligator-textured leather strap adds to the distinguished good looks. Details to note, luminous sword hands and raised baton markers on the dial.